In this lecture, Dr. Chafe will argue that while Black Americans have been fighting for freedom since the Civil War, and their persistent courage finally led to reform after World War II, racism remains a powerful force in American society, even though a great many Americans refuse to admit it. 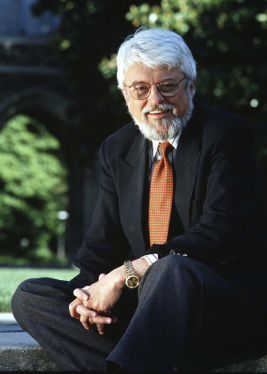 William Chafe is the Alice Mary Baldwin Professor of History (Emeritus) at Duke University. He is the author and editor of thirteen books. His work has focused on civil rights history, women’s history, and modern political history. He helped to start the Duke Oral History Program, the Center for the Study of Civil Rights and Race Relations, the Duke-UNC Center for Research on Women, and the Center for Documentary Studies. During the past decade, he has increasingly been involved in a comparative study of the anti-apartheid struggle in South Africa and the civil rights movement in America. Each year he brings students to South Africa to become immersed in South African history and to meet some of those who were most active in the battle against apartheid. The Mazzocco Lecture in Distributive Justice is an annual lecture made possible by a gift to the University to honor the memory of William James Mazzocco ’37. This event is co-sponsored by the Political Science department and the Garaventa Center for Catholic Intellectual Life and American Culture. For ADA accommodations or further information, please contact the Garaventa Center at: 503.943-7702 or garaventa@up.edu.